I'd like to take a moment and say a few words about Shannon. Shannon was an extremely accurate on point reader. She is unreal at picking up details without any information given. From visions of a house i own, to the clothes the person I was calling about wears. She is the real deal without any doubt. My prediction and timeline are not exactly clear as of yet due to the other person being in a transitional phase of life right now however, she did give me confirmation of certain things that will take place. I would highly recommend anyone who wants to speak to a "true" psychic contact Shannon! I have suffered from hemi-facial spasms since 1998. These spasms caused my eye to twitch and my left side of my face to smile on its own, at will. 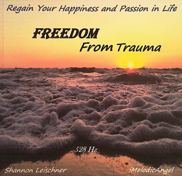 I had a mini reading with Shannon Leischner on the Be The Light Network on Blog Talk Radio. She immediately ‘diagnosed’ a previous stroke and the cause for the Spasms. The next week I contacted Shannon for a reading and started to see myself healed. On the day of the healing I was full of joy because I knew that Shannon had the gift of healing me. She started her process and brought my father, a neurosurgeon by profession, and channeled his messages to me. Honestly I do not how she healed my face but I believe that she is so well connected that all the healing seemed so simple. She later gave me instructions of how to breathe if I felt a minor spasm. I am indebted to Shannon and all the benevolent spirits who assisted her on that day. May God bless her with much Peace & Joy. I've never had a medium prove that my father was present in a reading until now. I gave Shannon no prior info. I needed to hear one word that would prove it was him - one word I asked him to say, one that described his passion, one word out of the entire English language that Shannon had no prior knowledge of. After she recognized the person coming through as my father, she said 'the' word I was listening for. She also gave me other accurate info and peace of mind. What a wonderful gift. I attended a group spiritual reading by Shannon Leischner on Friday, April 5, 2013. From seeing shows on the subject on television I knew a little of what to expect but was still surprised and thoroughly amazed. I saw physical signs of the presence of spirits and was impressed that Shannon made sure audience members were comfortable with revealing the spirits that wanted to come through before inviting them to.do so. When Shannon asked who I would like to hear from, I said my brother, who passed in 1970. Instead, my father came through and told me some things about him during his earlier lifetime that I never knew, which explained his personality that I experienced. It totally changed my perception of him and made me more forgiving of him. So, I didn't get to communicate with the person I wanted(my dad said my brother was off doing other things), but it was apparently the one that I needed and I'm grateful for that. It was a very positive experience for me and I intend to have Shannon do a personal reading for me in the near future. source within you --wonderful how you share and express with others... Thank you!!" "Shannon has an impressive intuitive ability to get to the heart of any matter. Her skilled empathic compassion along with her loving heart makes her an amazing asset to any event. Shannon will take the time to assure that you are in complete understanding of the message she has to give. Nothing is too big or too small for Shannon to deal with. Opening your heart to the truth is her greatest gift. Rock ON Shannon." "Thank you for your light and guidance (and your time that you give so generously). I am forever grateful that our paths crossed..and I am forever changed. I am truly blessed." "You are a powerful medium going around the room and talking with everyone's loved ones! Wow that was fantastic. It is so rare to find the real deal and you gave so generously to everyone, what a treat, thank you so much." "Thank you for the reading last night. You have definitely helped give me somethings to think about. I am really hindering on the fear and letting go. I think I know exactly what you were talking about. And I loved how you sense my pain when asked if she and I were together." Via SKYPE, Phone or in person near LA, CA. 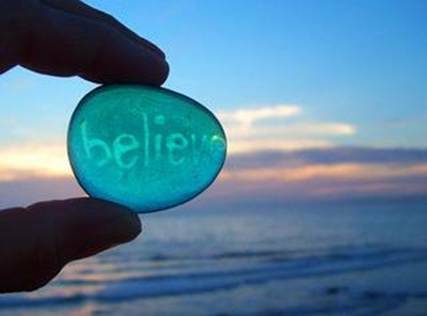 Believe all things are possible. Believe in self. I really from the heart appreciate you & your beautiful gift! !Thank You So Much!! I was watching long island medium --re living my experience, I know how happy those people were, by connecting with loved ones, and thinking what if I never met you, you changed my life, and I'm so grateful. Thank you so much for our reading yesterday. You made a difference. I really enjoyed our conversation. You are such an amazing woman with so much love and compassion you deserve happiness each and every day of your life! Thank you so much for meeting with my son & me on Tuesday. It was a very positive experience for him. He said, 'it was better than counseling'. He felt like his life and dreams were supported and encouraged. Thank you for being so wonderful with him. Thank you for the amazing reading and healing. It was a true blessing. It has helped me more than I can understand or explain. I feel the benefits more and more everyday. I have been to many different healers. No one has made me feel as good as you have. I am relaxed and feel truly at peace. "Thank you , thank you , thank you. Last night was a turning point in my life. You helped me find answers to some unanswered questions. Reassure me of some things I knew I needed to change. And motivated me to continue working on my calling and spiritual journey. For the first time in years I feel lighter and feel that I can finally acknowledge my dad's presence. My soul vows to your soul. 🙏"